Here’s something that might be of interest, and will help speed up some parts of your workflow. 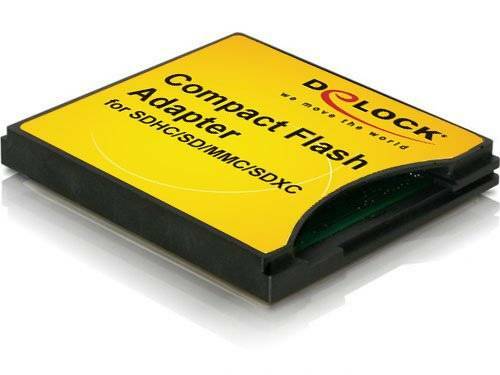 Get a faster memory card, and the means to get the images onto your PC as quick as possible. 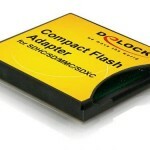 I recently ordered a couple of 600x Duracell 8Gb Compact flash cards from 7DayShop.com…. Sustained 80-85MB/sec read/write. It sure beats the hell out of USB2.0, at about 25-30MB/sec. I don’t have a decent drive available to test it faster, but theoreticaly USB3.0 is good to >400MB/sec. With the increase in the amount of data taken up by images on my PC data throughput has become a real problem. Dozens of seconds to load and save files, not to mention 25 seconds to open Photoshop. Each image I take of my camera is 25-30MB, and when I am working on a file, it can be 600-800MB for a few days until I’m happy with it and compress it down to a flattened image at about 100MB. Loading and saving these files can take up to a minute on my PC. I started looking into increasing the performance of editing images on my PC. The main prompt was the fact that my 1TB drive in my pc crashed (I had 3 backups so nothing lost). I took a look at what the main bottlenecks were, and it seemed that disk speed was one of the main problems. Having discussed RAID systems in a previous post, I thought I’d investigate setting up a striped array as a second drive on my desktop. 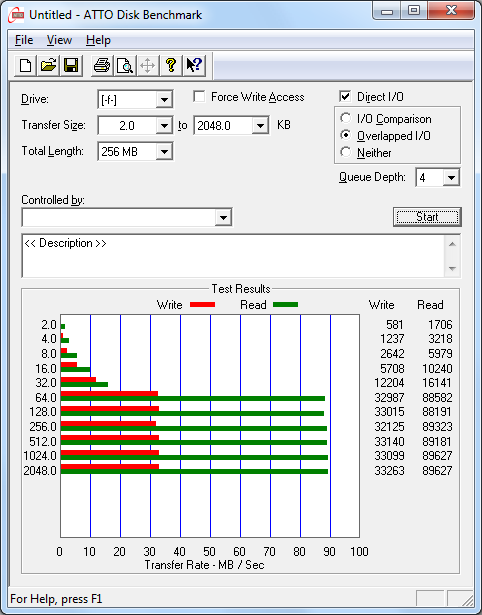 Striping allows two disks to be “merged” showing up as 1 disk to windows, but the underlying writes are spread across each disk, theoretically doubling the read/write performance. First of all I discovered that Windows 7 now includes software RAID, and the benchmarks on the web showed that the speeds were very similar to the motherboard RAID solutions for both RAID 1 and RAID 0 (Mirroring and Striping), so I had a go at that. Well into the process of copying about 800GB of data around the place to make two spare drives, I found that only Windows 7 Professional and Windows 7 Ultimate allow RAID configurations. I’ve got Windows 7 Home Premuim, which DOES NOT have RAID functionality. Bummer. Then I took a closer look at my motherboard, and it has a RAID controller built in. But there was a problem, I couldnt enable the RAID controller in the BIOS without causing my current windows installation to give me a BSOD (Blue Screen of Death) at boot. Even the solution suggested by Microsoft didnt help, so I freed up another 500G SATA drive and installed a fresh copy of Windows 7 on it, after enabling the RAID controller on the motherboard. It was very particular about the BIOS settings to get windows recognising the SATA CD-ROM drive and the hard disk. Anyway, once I got the settings right, I installed Windows and the nVidia RAID software. Then, I installed my two 1TB drives (Seagate Baracuda 7200.12’s, €80 each in Maplin), and kicked off the nVidia storage manager. This is quite a neat piece of software that allows easy configuration of arrays based on spare disks in the system. I started a couple of self tests on the disks, which checked out healthy. I chose not to migrate any existing data, so the new striped array was created in seconds in the nVidia storage manger. Then using the Disk Manager in windows to create a couple of partitions on that disk, which again, took seconds, I started up the ATTO Disk Benchmark Utility. 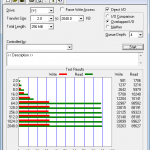 Previously I had tested the Seagate disks individually, giving me a max speed of about 125MB/sec. With the new striped array, this was increased to 247MB/sec! Success. Because it’s a striped disk, I need to be very careful to have a good backup policy, because if one of the disks in the array goes, I lose ALL the data. If youwant data security, dont use RAID 0 (striping). Now to install Photoshop CS4, then the CS5 upgrade, and restore my photos onto it and see what kind of performance improvement I get in general use editing pictures. I don’t expect the actual processing to be much quicker. but organising images in bridge, generating previews, loading/saving large TIFFs should all be improved. Once Photoshop was installed, I started it up, it took about 8 seconds. Closing and opening again took about 4 seconds. This is an improvement from about 25 seconds from cold with my old 80MB/sec boot drive. I just embarked on an project to make backing up photos easier, and decided I wanted to get myself set up with a RAID array. I just embarked on an project to make backing up photos easier, and decided I wanted to get myself set up with a RAID array. This would allow me to copy my photos once to the array, and it would then automatically create a mirror of each file on the disks, so I’d be backing up twice without even thinking about it. I’ve known about RAID (Redundant Array of Independent Disks) for quite a while now, and also use them at work, but those types start at $15,000, and go up from there. I’m on a much more modest budget, and even the €350 upwards models on the internet seemed a bit steep, so I decided to build my own. Initially, I thought I’d use a motherboard with built-in RAID, or get a RAID controller for the PC, then stick in a few disks. After researching a bit, I found that RAID controllers can be got for as little as $30 on E–Bay, but there’s limitations in the size of disk you can use with the older ones, and the more recent ones cost a good bit more, maybe $70 upwards to $600 for the top-of-the-range cards. Being even stingier than that, I then looked at the motherboards I had lying around the house. My desktop was full, the kids PC had RAID on the motherboard, but it’s reputation when it comes to RAID was awful. 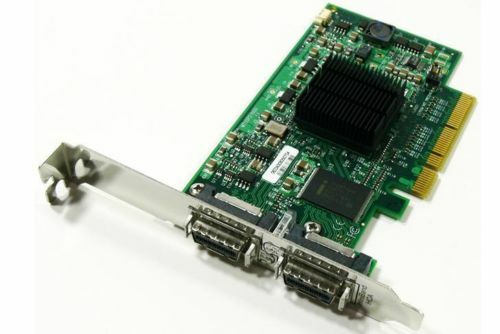 I then checked my media centre PC, and sure enough, there were 4 SATA connectors, and 2 IDE connectors. Enough for 8 drives. But the motherboard didnt seem to have any hardware RAID. So, if it wasnt there, could I do it in software? Seeing as it’s already got Linux (Ubuntu), I looked up software raid solutions for linux, and there it was in the form of ‘mdadm’. This magical command allows setting up of all types of RAID arrays with a few quick commands. To test this out, I salvaged a couple of old 80Gig SATA drives from my garage, and stuck them in the box. An hour later, I had a new 80Gig volume mounted in the linux box, and accessible over the network via Samba. The two drives were set up as a mirror, so I lose half the capacity of the combined drives, but it’s redundancy I want for this setup, not speed. The next step is to replace the 80Gig drives with a few 1-2TB drives. Who know, I might even go the whole hog and use 3 or more drives in a RAID 4 or RAID 5 array. That should give me faster access, as well as the redundancy that is an essential part of this project. Another thing is that I need to know when there’s a problem with the array. The array should still function when one of the drives fail, and will re-build the array when I replace that failed drive. But how do I know when a drive has failed? I don’t want to have to check it every week (or day). Well, there’s very handy feature of the Linux Software RAID solution that monitors the disks in the array and can be set up to automatically send an email when there’s a problem. Nice.